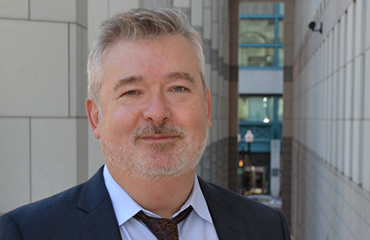 Dr. Conall O’Cleirigh is the Director of Behavioral Medicine at Massachusetts General Hospital. He is also the Associate Director of the Division of Global Psychiatry’s T32 Fellowship and is the Associate Director of the Behavioral and Social Sciences Core of the Harvard University Center for AIDS Research. Dr. O’Cleirigh is an Assistant Professor of Psychology (Psychiatry) at the Harvard Medical School. Within behavioral medicine, Dr. O'Cleirigh's research is primarily focused on adapting cognitive behavioral therapy for application to issues related to HIV prevention and treatment, and in managing co-occurring mental health substance use issues in patients managing HIV. Dr. O'Cleirigh works closely with MGH fellows and a team in South Africa on establishing the feasibility and acceptability of empirically supported treatments for depression and treatment adherence for application with HIV positive South Africans. He is also conducting an efficacy trial addressing self-acceptance and related mental health issues in gay and bisexual men at sexual risk for HIV in India. Dr. O'Cleirigh has published multiple journal articles in the fields of depression, trauma, HIV and substance abuse and is currently a principal investigator of five NIH awards. Dr. O’Cleirigh received his PhD in Clinical Psychology from the University of Miami and completed his postdoctoral fellowship in Behavioral Medicine in the Psychiatry Department at Massachusetts General Hospital/Harvard Medical School.